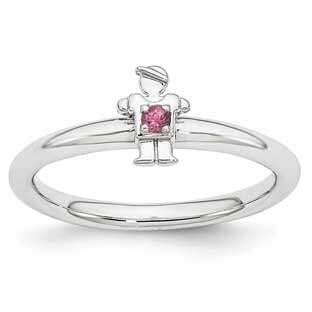 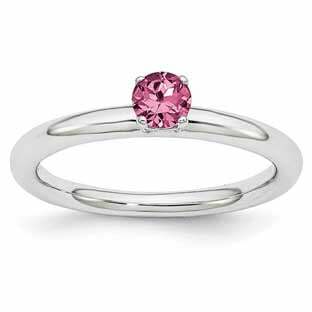 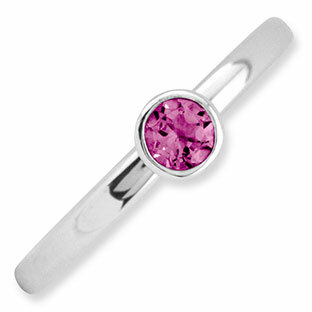 This sleek looking stackable ring features a genuine pink tourmaline birthstone. 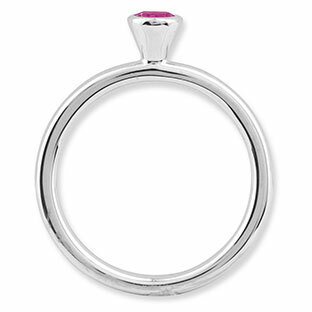 Contains a 4MM round cut, bezel-set stone weighing approximately .35 carats. 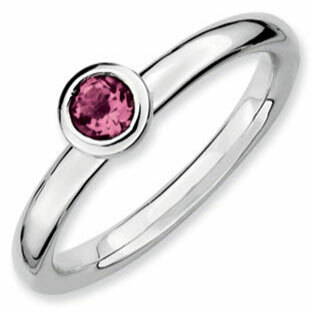 For the perfect look stack with the other colored bands in this style - all birthstone months are available. 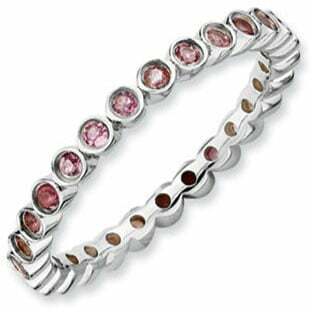 The band is crafted of solid .925 sterling silver, and is 2.25MM wide. 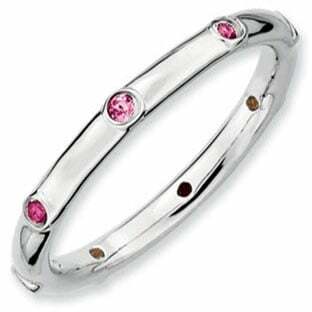 Has a polished (shiny) finish. 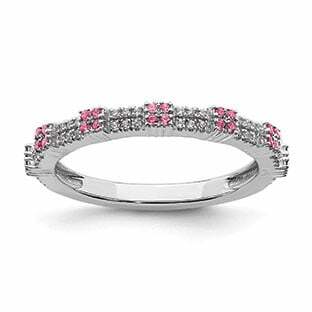 Available in size 5, 6, 7, 8, 9 and 10 (whole sizes only). 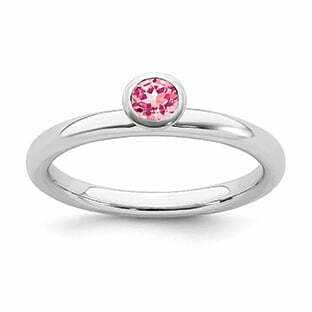 The stackable ring collection from the Gemologica Jewelry Shop.